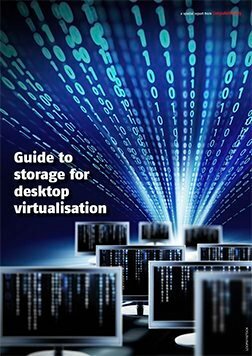 Virtual desktop infrastructure (VDI) projects can cause frustration for IT managers who want to keep end users happy and VDI costs on par with the cost of traditional PC implementations. VDIs place different I/O and read/write demands on the storage infrastructure than traditional desktops, and storage pros are likely to hear different advice from storage vendors and VDI providers on crucial topics such as how many IOPS each user will need, whether to pursue a single-image strategy and how to evaluate VDI implementations. This handbook offers practical guidance, covering everything from choosing between solid-state drives and SATA drives, persistent versus stateless desktops, and where and how to use data reduction technologies. 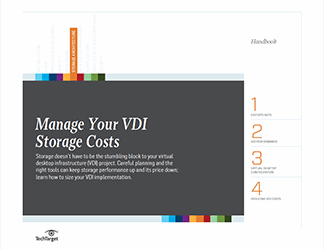 Data storage professionals and independent experts also explain how to navigate a VDI project so that the technology -- and your project -- lives up to its promise. 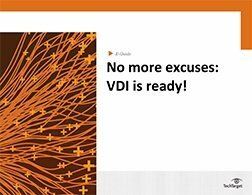 No more excuses: VDI is ready!